Harold is a Founding Partner of Preti Flaherty, listed in Woodward-White's The Best Lawyers in America, and is rated by Martindale-Hubbell® as AV Preeminent, its highest rating. Harold was Associate White House Press Secretary under President Lyndon B. Johnson, serving as principal aide to White House Press Secretary Bill Moyers from 1965 to 1967. He came to the White House after serving as Deputy Congressional Liaison for the Peace Corps during that agency's earliest years, a post in which he advised members of Congress and assisted the program's director, Sargent Shriver, on Congressional matters. He also assisted the task force that wrote the federal legislation creating the Office of Equal Opportunity, helping to develop legislation to launch Head Start, VISTA and Job Corps, among other programs. Harold left the White House in 1967 to become attorney-advisor to the secretary of the newly created Department of Transportation, where he used his skills to negotiate with state and local governments throughout the country to resolve federal and state public policy conflicts. In summer 1968, he joined the vice-presidential campaign of Senator Edmund S. Muskie to direct scheduling and advance operations. In 1969, after eight years in Washington during which he rose to the highest levels of government, he returned to his home state of Maine. He began his practice of law in Portland. After a decade in federal government and more than 40 years of legal practice, Harold now counsels clients on corporate and regulatory matters. He serves as general counsel for several corporate clients and also counsels clients on governmental and legislative issues. He has been lead counsel in the environmental permitting process for several large facilities and has been an advocate on environmental and other issues for several clients. For 15 years he was Chairman of the Board of Visitors of the University of Maine School of Law. 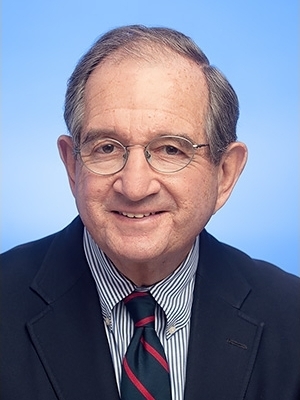 He is a fellow of the Maine Bar Foundation and an Honorary Lifetime Trustee of the Lawyers' Committee for Civil Rights Under Law. He served for many years on the National Governing Board of Common Cause, the Board of Visitors for University of Southern Maine, the Board of the Senator George J. Mitchell Scholarship Research Institute, the Board of the Salzburg Seminar (Austria). He is a past president of the Portland Symphony Orchestra and also president of the National Committee for Symphony Orchestra Support. For many years, Harold was vice-chairman of the American Symphony Orchestra League. He is a former trustee of the American College of Greece, of the Maine College of Art, and of Maine Maritime Academy, and a past director of the Portland Boys Club. He served as chairman of the Cape Elizabeth School Board and formerly served as a member of the legislative committee of the United States Olympic Committee. In addition, he has served as chairman of the committee appointed by Senator George J. Mitchell to develop proposals for reform of federal campaign finance laws, and also chaired the committee appointed by Senator Mitchell to advise on selection of a U.S. Attorney for Maine. In 1993, he was nominated by President Clinton and confirmed by the U.S. Senate as a member of the U.S. Advisory Commission on Public Diplomacy. The President designated him Chairman of the Commission in 1999. President Bush nominated him in 2003 for a third term on the Commission, and he was again confirmed by the Senate. The Commission, and its Washington staff, advise the President, Secretary of State, and Congress on public diplomacy programs carried out by the State Department and U.S. embassies around the world. He is the recipient of the Hon. Edmund S. Muskie Access to Justice Award for leadership in the community and the impact he has had in furthering access to justice. In 2010, he was inducted into the Junior Achievement of Maine Business Hall of Fame, which honors Maine's most distinguished men and women in business for their "outstanding contributions to free enterprise and the promise of a better, stronger society." He served as chairman of the Maine Democratic Party and was the Democratic nominee in Maine's First Congressional District in 1980. Harold was born in New Haven, Connecticut; grew up in Cape Elizabeth, Maine; and graduated from Princeton University in 1959. He served as a lieutenant aboard a U.S. Navy transport ship and then moved to Washington, D.C., where he earned a law degree from Georgetown University.